Full sun. Low humidity. Little water. 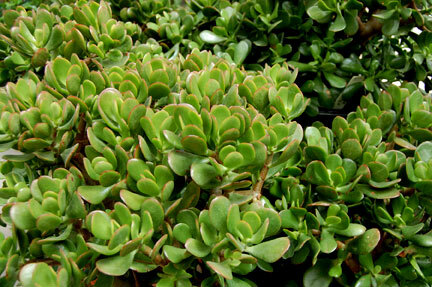 If there’s a perfect houseplant for northern New Mexico it may be the jade plant. Even people who claim to have a “brown thumb” can have great success with this succulent that needs just 5 simple things. 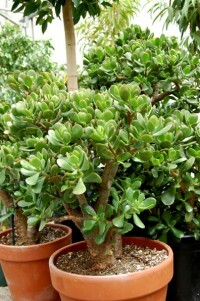 The ease of care and their longevity make jade plants a great gift. A sunny location. They like full sun, but direct sun can burn their leaves, so think bright but not too close to a west or south-facing window. Low humidity. Easy to come by here in the high desert. Good drainage in a loamy, porous soil mixture. 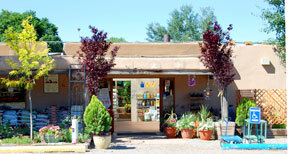 Water thoroughly, but be sure to check the top of the soil before watering. If it’s damp, wait. When it is dry, water. Regular feeding with mild liquid fertilizer from February through October.